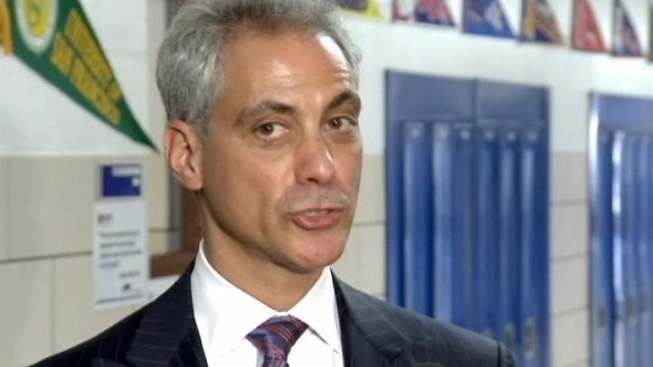 Mayor-elect Rahm Emanuel on Friday said Chicago Public School students should expect longer school days and a longer instructional year. "We’re not going to negotiate or discuss whether children get more instruction -- we will work together so that gets done. I’m not deviating from that. I was clear about it," Emanuel told reporters after meeting with students at Johnson College Prep for that charter school's career day. The question, of course, pertains to how teachers will be paid. "Every year, for the last nine years, every year -- pay has been increased by four percent. Instructional time: zero," Emanuel said. "We will have a longer school day of instructional time and a longer school year, so the kids in Chicago aren't cheated as they are today." His comments come a day after the Illinois House passed a measure that makes it more difficult for teachers to strike and easier for them to be let go due to poor performance. The measure is expected to also pass the state senate. In a school gym where college pennants, rather than sports teams, lined the walls, Emanuel's words were meant to encourage dreams beyond high school. He spoke candidly about some of the challenges he faced when he was a teenager. "I nearly died. I worked at Arby's. As you can see, I lost my finger. I had gangrene [and] five blood infections, two bone infections. I was in the hospital for the first 72 hours with 105 [degree] fever, living in an ice pack," he told the students. He ultimately spent seven weeks in the hospital. "Three of my roommates in that hospital died," he said. "The chance to succeed in life came from what I learned out of nearly losing my life."